The Ottawa Maverick Volleyball Club is looking for Strength and Conditioning Coaches for the upcoming 2014/2015 season (mid-september to end of June). We are looking for individuals with certifications in personal training or strength and conditioning (CSEP, ACSM, CANFIT, CSCS, etc). Individuals must also be certified in First Aid and CPR. The program consists of a commitment of 2-5hr per week where trainers will monitor weight room, supervise athletes and instruct proper lifting techniques. Individuals will be compensated at an hourly rate. 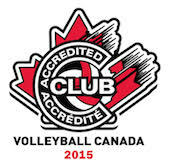 Trainers would be working with the clubs High Performance athletes in mainly the central and east end of Ottawa. Commitment and dedication will be vital characteristics of trainers in the year long training program to ensure HP athletes attain and maintain top physical shape while allowing them to peak at the key times.